I first came across Sewlomax around this time last year when I was looking for a new makeup bag. I'm a bit of a magpie for pretty makeup bags, but the Sewlomax offering's were easily the prettiest I had ever come across. At Christmas I decided to treat myself and finally ordered the Snow White Lipstick Makeup Bag which was limited edition for the festive season. I was smitten, and it soon became my favourite and most-used makeup bag (full review here). There's now a second beautiful Sewlomax offering in my beauty stash, and I have to admit, I think it's even more gorgeous than my snow white one. 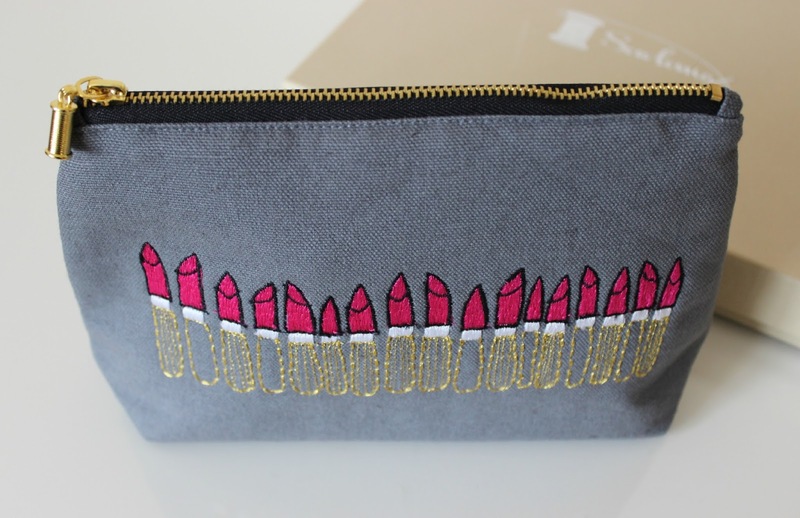 The Sewlomax Twilight Lipstick Pouch* (£20) is bold, yet elegant and sophisticated at the same tine. Made from canvas material with a red nylon lining, finished with the signature SewLomax bobbin zip detail, it's a gorgeous twilight grey with vivid pink, gold and white lipsticks. The bag itself is fairly decent in size (21cm x 13xm x 8cm to be exact!) and quite flexible with the canvas material, meaning you can really fill this beauty up with all your favourite products! The detail and quality of both materials and shade choices really sets this apart from any other makeup bag offerings for me, adding the perfect touch of glamour at a reasonable price. 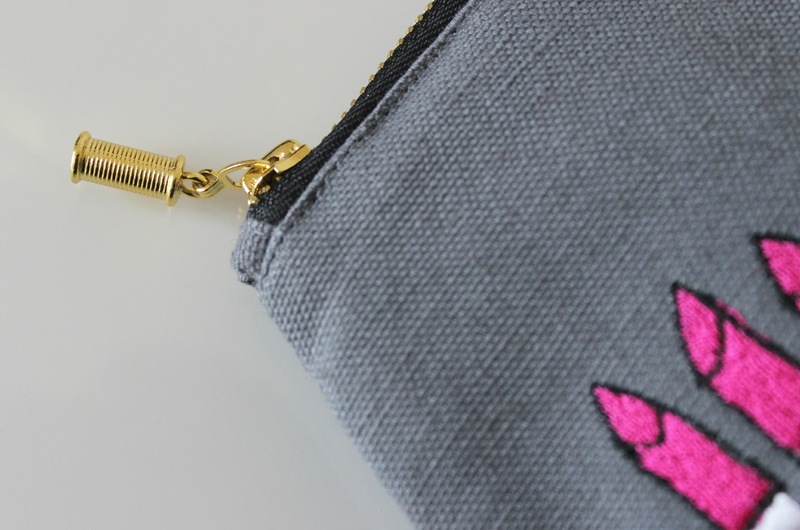 I love having my twilight lipstick pouch sat on my dressing table with some of my most reached for everyday products inside, and I know I'll be keeping an eye on Sewlomax for Christmas presents this year! There's a huge range of beauty bags available, including bags of all sizes, mens toiletries bags, wash bags, purses and more! 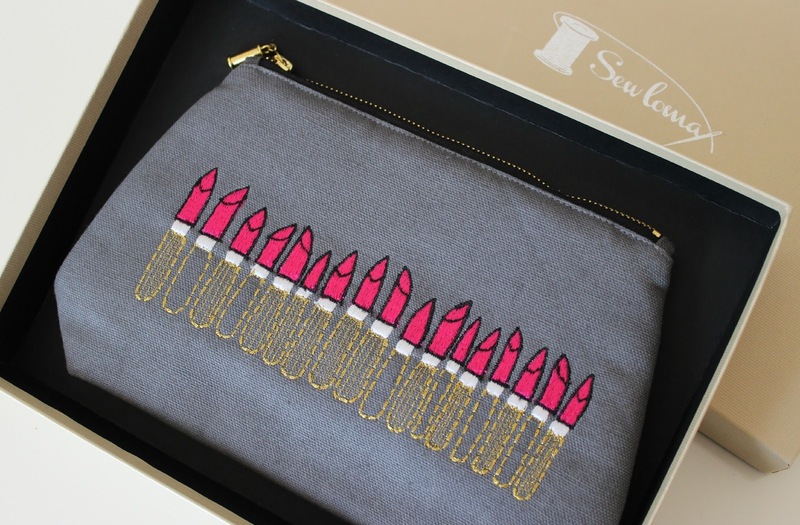 There's even an amazing new collaboration with the fabulous London Beauty Queen, who collaborated with Sewlomax to create a capsule collection of makeup bags (see here). Have you heard of Sewlomax before? Such a cute place to put your makeup, the design is lovely! The perks of being a hipster - Zoella & Tanya Burr Product Giveaway! I really want one of these bags, they are just so cute!